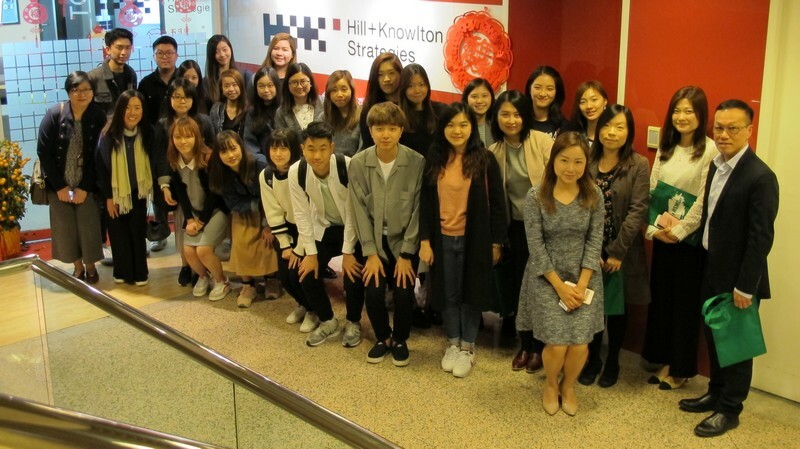 Twenty-four students and academic staff of School of Communication visited Hill+Knowlton Strategies office in Hong Kong on 28 Feb 2018. 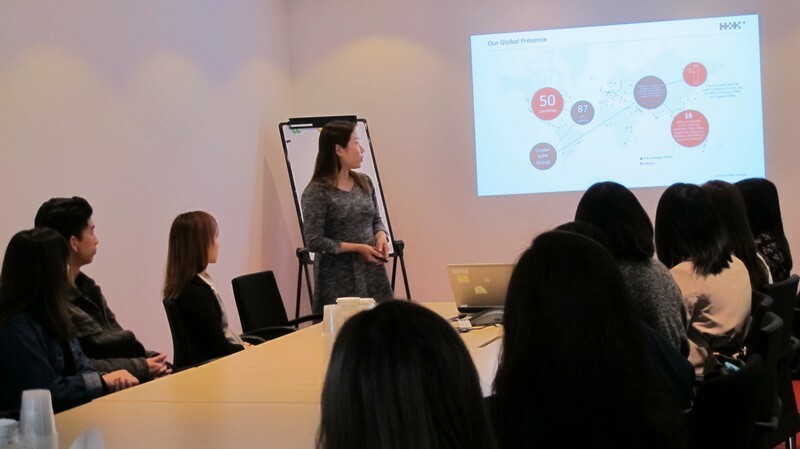 They were received by Mr KW Lam, Managing Director of the Hong Kong office of Hill+Knowlton Strategies; Ms Linda Pui, Director of Financial Communications Practice; Ms Crystal Yip, Associate Director of Financial Communications Practice; and Ms Ellena Kam, Account Director in charge of Corporate Communications Practice. 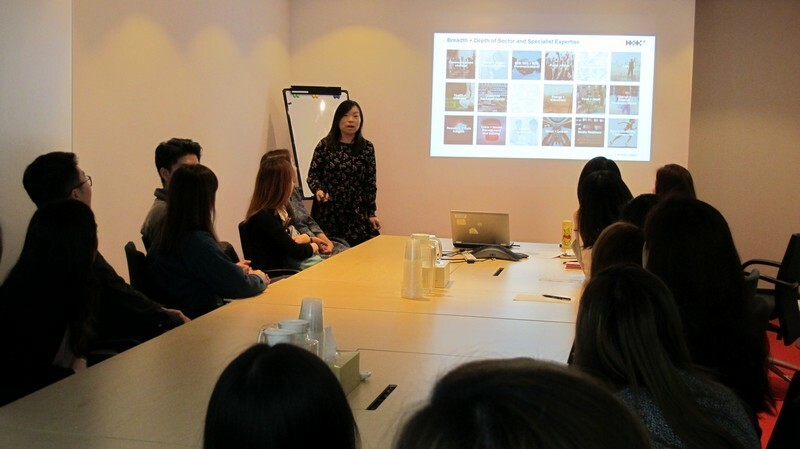 Teachers and students were briefed about the corporate development and the scope of work of Hill+Knowlton Strategies Hong Kong. Through case sharing, students learned both the project execution and management as well as how to be a qualified PR consultant. 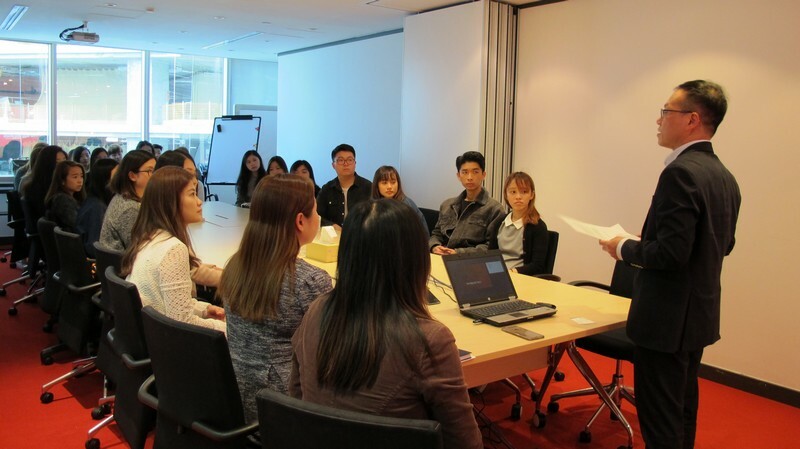 Mr KW Lam, Managing Director Hill+Knowlton Strategies Hong Kong, was giving a welcome remarks. Ms Yip and Ms Kam were introducing the projects within their practice.